Want to stand out from the crowd? Whether it’s a subtle feature nail or a bespoke festive design, nail art is a brilliant way to inject some personality into your manicure. 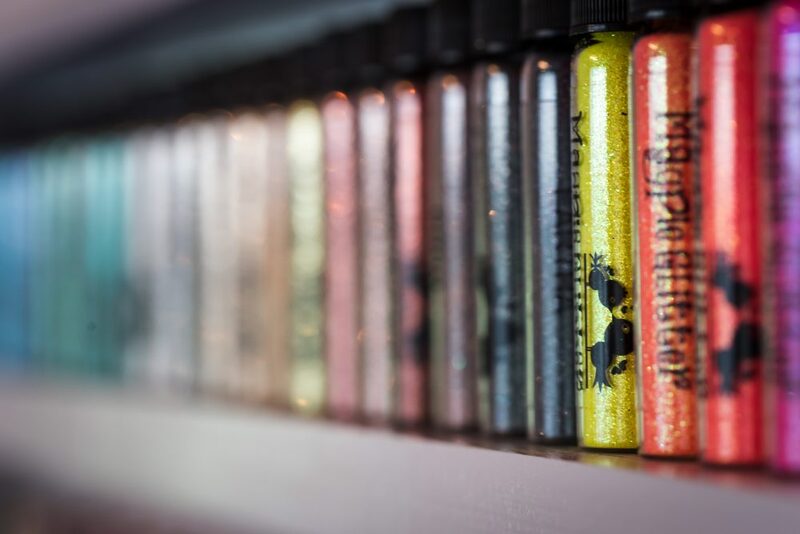 I have a huge collection of nail foils, glitters, gems, stamps, chrome powders and other art mediums for you to choose from, or I can freehand paint a design straight onto your nails. If you’ve got a particular idea in mind, feel free to send it to me ahead of your appointment so I can have a think about how best to recreate it. For nail art, prices start from 50p per nail, depending on the complexity of the design. Please check with me first and I can price up the design for you. Get some serious bling in your life with Rockstar nails! Ultra-fine holographic, iridescent or just good old fashioned sparkly glitter, available in an array of colours, are embedded into either OPI GelColor or regular polish to give you the ultimate wow factor. Also available as free accent nails during your gel manicure. The finest colour pigments are married with OPI GelColor, opening up a while world of colour, design and effects such as ombré, polka dots, animal print and many others. Fancy a hand of flamingos? Want a sugar skull theme on your toes? In the mood for tropical flowers, wintery snowflakes or geometric shapes adorning your gel manicure? Look no further than nail stamping. With dozens of nail stamping plates, hundreds of gorgeous designs and a plethora of highly pigmented nail stamping polishes, you can choose the perfect theme for your manicure or pedicure during your Fuchsia Beauty appointment. The detailed patterns and crisp images enable you to really personalise your nails and embrace nail art.